In 1999, Kevin DiCerbo – RN, BSN, LSO, one of the founders of Celibre Medical Corporation needed tattoo removal. Despite scouring the internet and using word of mouth, he was able to find only one practice in the South Bay that was performing laser tattoo removal. So, without any choice, he started the process at this practice. After numerous treatments, Kevin realized that the experience was not what he had hoped for. There was no anesthetic offered for this very painful procedure, and after 8 treatments, the tattoo was still very much visible. Frustrated, he moved the treatments to another facility, where it was finally completed in early 2003. By that time, Kevin was contemplating a plan to provide a better experience for consumers getting laser treatments. He met Dr. Harold J. Kaplan, double board certified facial plastic surgeon in 2003. With Kevin’s vision of a specialty laser dermatology practice and Dr. Kaplan’s previous experience using lasers, Celibre was born. The company opened its doors in 2004 and has been providing high quality patient care and safe and effective laser and injection services since that time. Is a board certified facial plastic surgeon who has 45 years of experience with facial plastic surgery and cosmetic lasers. He is a practicing laser dermatologist, as well as Celibre Medical Corporation founder and supervising physician. Serves as Nurse Educator for Celibre Medical Corporation. She serves as a source of information for the nursing staff, patients, outside medical professionals and consumers. Lori received training and certification as a Medical Esthetic Practitioner as well as a Certified Medical Laser Safety Officer. At Celibre Medical Corporation, we offer the safest and most effective laser and injection treatments available using the most current FDA-approved procedures. By delivering superior results and the highest level of patient care we have become a trusted name in the laser and injection industry. Celibre Medical Corporation differs from other medical facilities and medispas that use a “one size fits all” approach to laser dermatology. Instead of using the same piece of equipment to treat every skin condition, we use over ten different state-of-the-art lasers – each one specifically designed to treat one particular condition. Because we focus on using the most appropriate technology for each condition, we are able to customize a treatment program for your specific situation and deliver outstanding results. Our lasers are state-of-the-art and our medical staff are expertly trained to ensure your safety. In addition, our organization serves as a California board certified laser training program for nurses and physicians. Because your complete satisfaction is our goal, we only provide treatments that have proven to be effective. All of our state-of-the-art lasers are FDA approved, and we’ve chosen them solely because of their effectiveness in treating specific skin conditions. Because our lasers are some of the best available in the industry, we consistently exceed our patients’ high expectations. Our injection specialists attend workshops and formal training seminars regularly to ensure that they are providing our patients with the newest and best injection techniques. Dr. Harold J. Kaplan, facial plastic surgeon with over 30 years experience, is the founder of Celibre. Dr. Kaplan has served as a clinical Associate Professor of Surgery at UCLA, and has used cosmetic lasers extensively in his practice since the early 1990’s. Other physicians’ offices turn to Celibre Medical Corporation’s experience for their laser training needs. Our facility is a licensed continuing education provider, offering a premier training program for doctors, physician’s assistants and nurses to advance their skills in the safest, most current cosmetic laser techniques. At Celibre Medical Corporation, we’ve made every effort to make you feel welcome in our clinics. 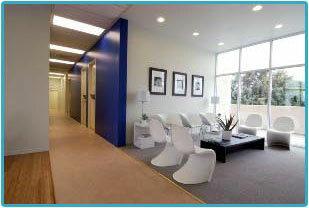 Our waiting areas are modern, spacious and bright. Treatment rooms are clean, private and comfortable. We have medical clinics in both Los Angeles and Orange County offering convenient weekday and weekend hours. At Celibre Medical Corporation, our patients are treated with courtesy and respect. Our friendly, knowledgeable staff make every effort to ensure that your visit with us is a pleasant and successful one. When you visit our Los Angeles or Orange County clinics, our medical professionals will provide you with an honest assessment of our ability to treat your condition with either Botox Injections, Juvederm, Restylane, other dermal fillers, Laser Treatments, or any of our Cosmetic Procedures available. During your consultation, we listen carefully to your goals, focusing on those cosmetic improvements that are most important to you, and work with you to set realistic expectations. Once we clearly understand your goals, we provide you with a personalized treatment program and educate you on how our FDA-approved laser and injection treatments are used to treat your particular condition. Treatment plans can be prepaid, pay-as-you-go, or financed.